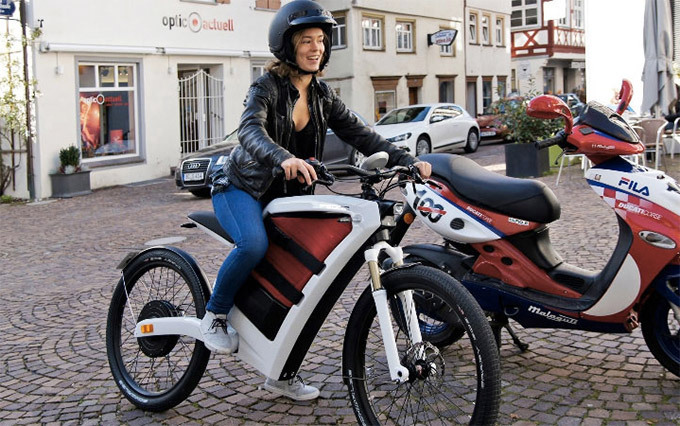 Feddz E-Bike Trades Bulky Gas Engine For Storage Space | OhGizmo! By David Ponce on 03/19/14 • Leave a comment! If you’re going to go green and get rid of an internal combustion engine on your bike, then you may as well do something useful with the space created. 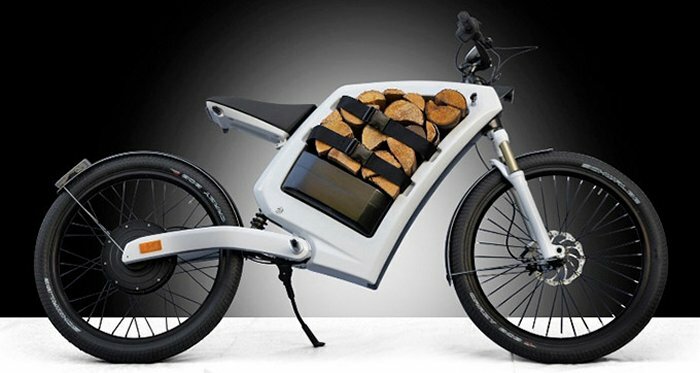 The Feddz bike pictured above features an electric motor in the hub of the wheel, while the center of the frame serves up a generous 23 litres of storage space. That’s enough to carry a good amount of stuff around, which is always appreciated on a two-wheeled vehicle. Also, “two different 48-volt lithium-ion batteries are available for the Feddz. The larger option gives you up to a 68-mile range on a seven hour charge, with a top speed of around 28 mph.” The $8,400 price tag on that version is a painful reminder that electric vehicles aren’t mainstream yet, but those of you forking your money over will be able to pat yourselves on the back for doing something to change all that. Bottoms up for early adopters.